Cyclops Optics received this stunning Hubble class Saturn from renowned planetary observer Chris Go early this morning. 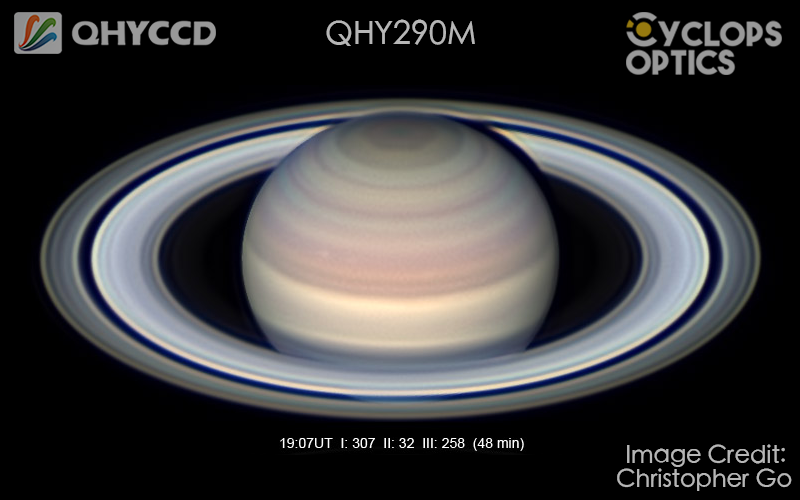 We’re eager to share this amazing image with all of you and see how QHY290M camera could achieve with his 14 inch SCT as this image promptly tells! Encke Division is easily well defined which is approximately only 0.05" in size. 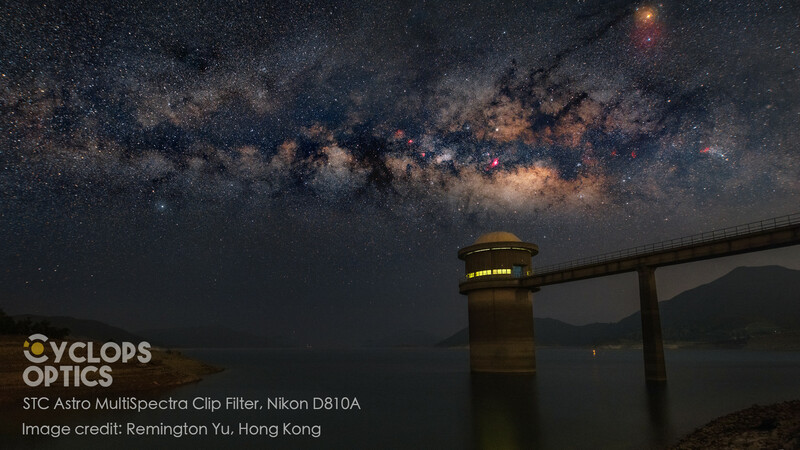 Congratulations to Remington for having captured this magnificent summer Milky Way under moderately light polluted sky in Saikung, Hong Kong. With the aids of STC Astro-MultiSpectra Clip Filter acquired from Cyclops Optics, he could greatly capture the details and vibrant yet natural colour of the Milky Way. We hope to see more of these wonderful pictures in the near future from him. Clear skies! The STC Astro-MultiSpectra Clip Filter is now available at Cyclops Optics website for Nikon full frame, Canon APS-C and full frame. 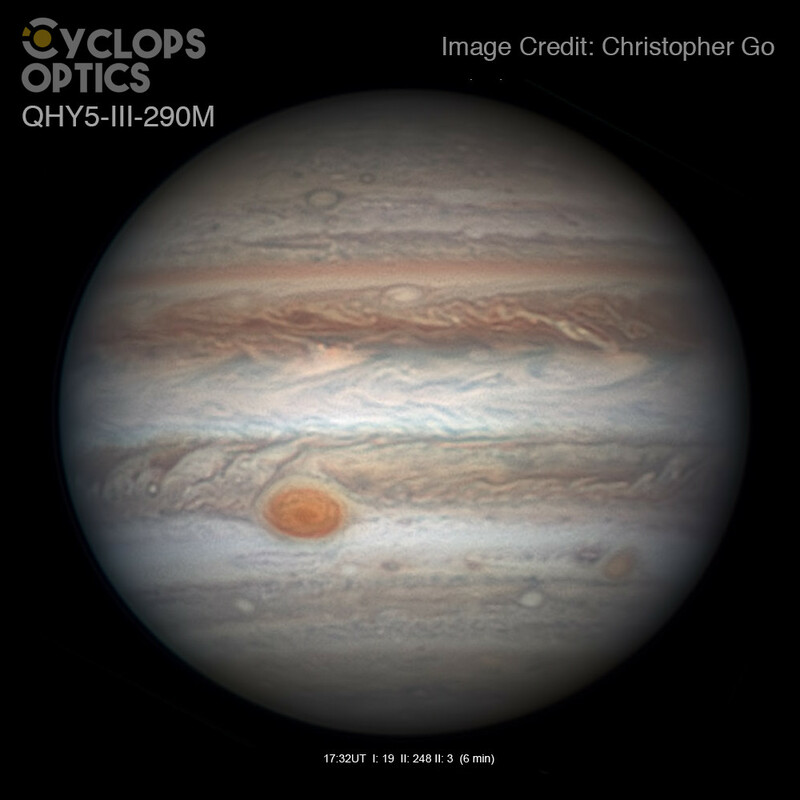 I would like to share with you the Hubble class Jupiter image captured by renowned planetary observer Christopher Go with affordable QHYCCD camera. 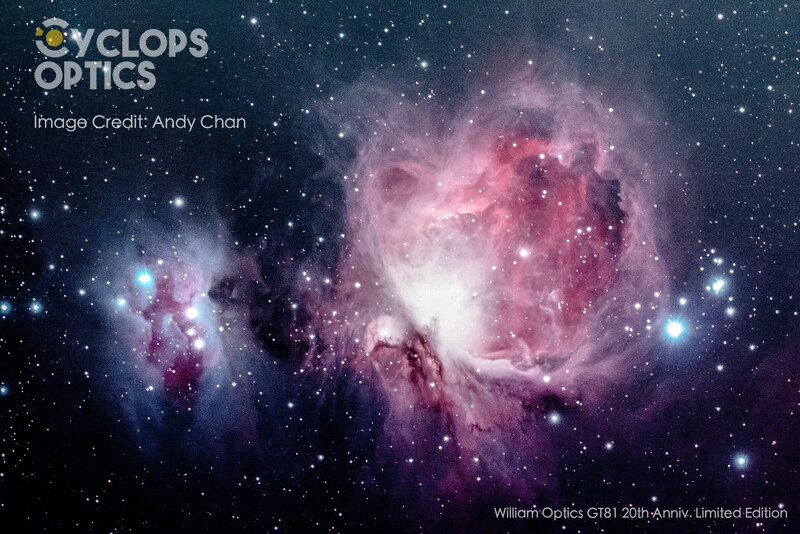 Andy captured this beautiful Great Orion Nebula (M42) with his GT81 APO refractor 20th Anniversary Limited Edition from Cyclops Optics under the well known light polluted sky in Hong Kong. 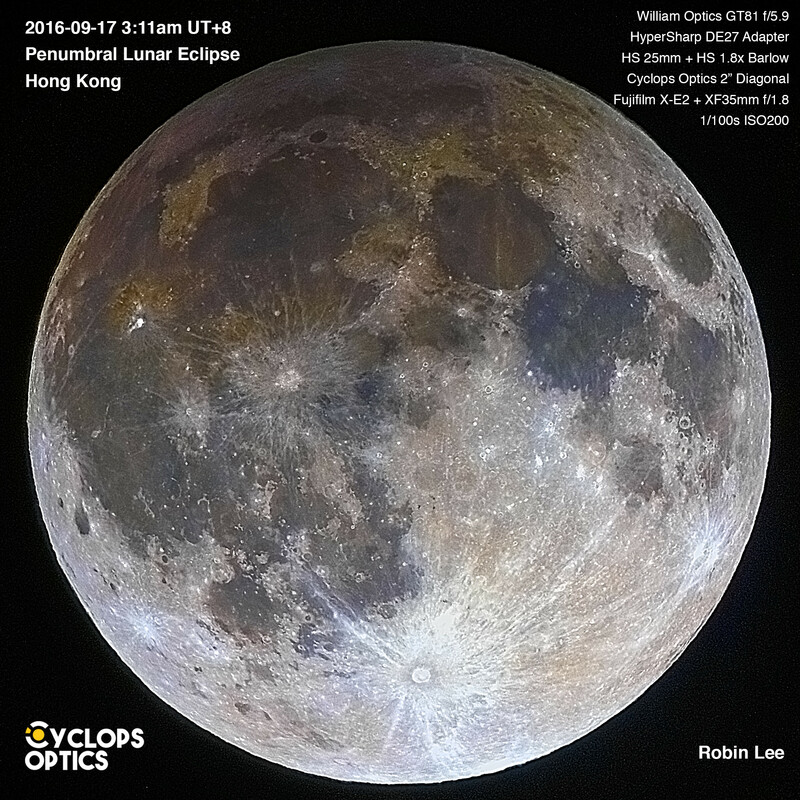 Andy is a passionate Hong Kong amateur astronomer and was used to be doing wide field astronomy imaging with camera lens, this is his first time using a telescope for deep sky imaging. 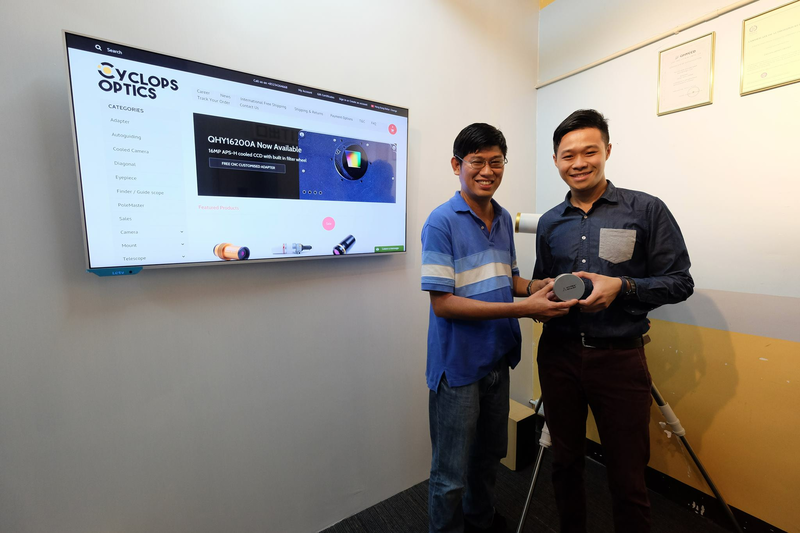 Want to see more of Cyclops Optics' users' photos? Like us on Facebook!